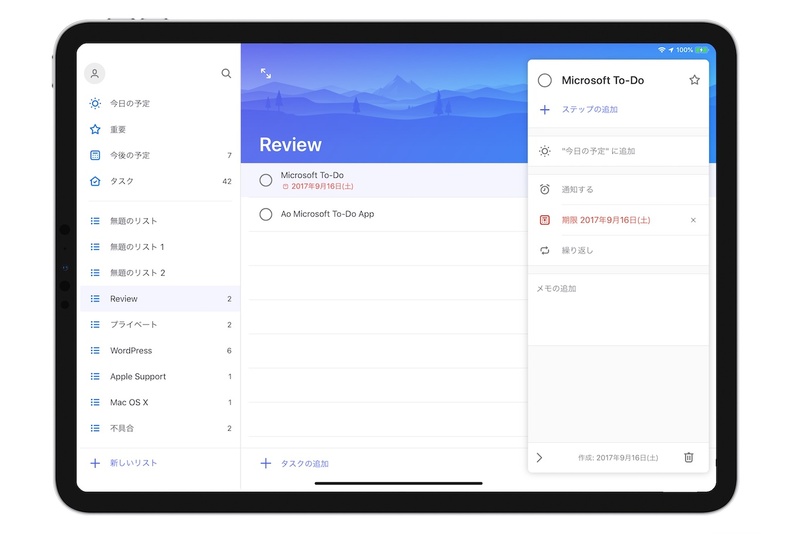 Microsoft、Wunderlistに代わるタスク管理アプリ「Microsoft To-Do for iOS」をアップデートし、iPadで3パネルレイアウトを採用。 | AAPL Ch. New: We’ve just made productivity a whole lot easier on the iPad—we now support a three pane layout! Huh? We hear you say, what does that mean? It means that you can see your lists, your tasks, and the steps for a particular task all at the same time. 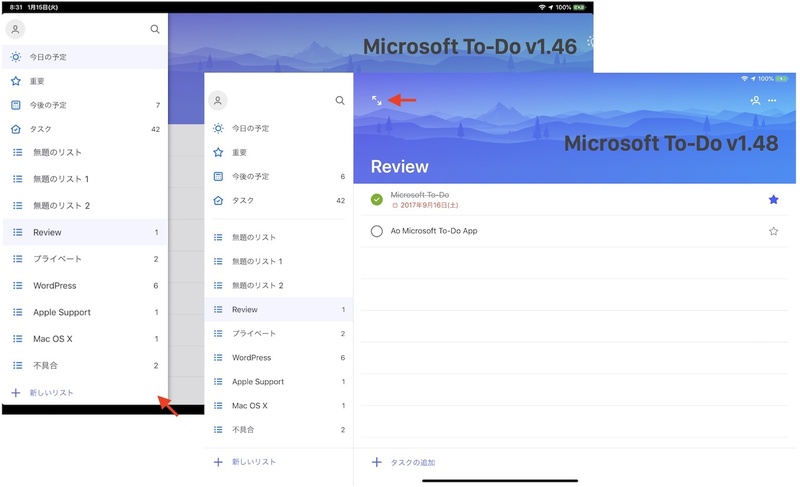 You will no longer need to dismiss the sidebar in order to get back to ticking off your tasks.